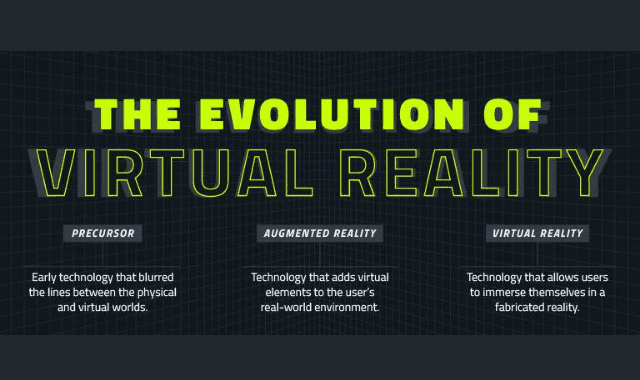 The Evolution Of Virtual Reality #Infographic ~ Visualistan '+g+"
Virtual reality has the ability to not only mimic real life, but also to transport its users to another world. The term was popularized relatively recently, in 1987 by Jaron Lanier External link , but the technology that led to today’s Oculus Rift and HTC Vive precedes the phrase by more than half a century. In the following infographic, Communications@Syracuse reviews some of the technology that spurred the growth of virtual reality over the last nine decades and takes a closer look at some of the devices on the market today.